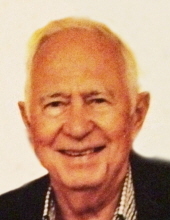 Herbert Williams, age 90, died April 3, 2019. He was born Herbert Evans Williams in 1928 to Frank and Freda Steinberg Williams in Cedar Rapids, Iowa. Herbert’s father died when he was only 15 years old. He remained a dedicated son to his mother for the rest of her life. While attending the University of Iowa he was a proud member of Phi Gamma Delta where he established life-long friendships. During his high school years, he met Carol Boudreaux. They married in 1951, moving soon to Missouri where Herb served in the US Army during the Korean War. Herb and Carol then moved to Waterloo, Iowa, beginning the rest of their lives. They started a family and Herb had a successful career at Rath Packing Company before purchasing Professional Office Services in 1976. He went on to build it into a national company serving the healthcare industry, thriving today under the leadership of his son, Michael. Herb believed strongly in supporting the community. He donated his time and resources to Junior Achievement, Rotary Club, and the Waterloo Civic Foundation. He served for years on the Board of Directors of the National Bank of Waterloo. He loved fishing and hunting and enjoyed a special relationship with friends at the Powderhorn, north of Waterloo. Herb and Carol have been supporters of the University of Iowa through sports, scholarships and UI REACH. But nothing was more important than spending time with his family. Years of travel throughout the United States, Europe and beyond created a lifetime of memories. They enjoyed winters at their home in Florida and summers on Ten Mile Lake in northern Minnesota, but home was always Waterloo, Iowa. Herb is survived by his loving wife of 68 years, Carol; sons, Peter (Jane) of Maple Grove, Minn. and Michael (Kate) of Waterloo; daughters, Ellen (Richard) Noyes of Eden Prairie, Minn. and Ann (Kevin) Campion of Bradenton, Florida; and 10 grandchildren. Visitation will be held at Hagarty-Waychoff-Grarup Funeral Service on West Ridgeway, from 4:00 PM – 6:00 PM Saturday, April 6. Memorials can be directed to the Waterloo Community Foundation. To send flowers or a remembrance gift to the family of Herbert E. Williams, please visit our Tribute Store. "Email Address" would like to share the life celebration of Herbert E. Williams. Click on the "link" to go to share a favorite memory or leave a condolence message for the family.